We are so honored to begin our student spotlights with Alice Meskan. 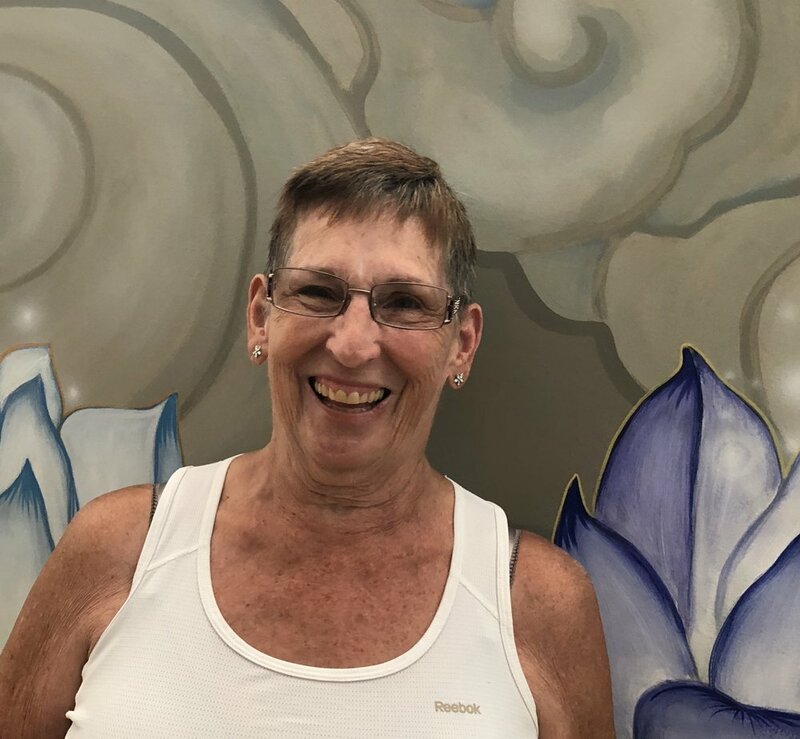 Alice has been practicing at Ahimsa Elmhurst North, and now South as well, for almost two years now. Her amazing energy inspires Elmhurst South Manager and one of Alice's favorite teachers, Cassie Quick, who interviewed her for our student spotlight. Enjoy! What do you do when you are off the mat? I bowl in a league from Fall to Spring. In the summer I golf. My favorite place is in my gardens, hard work but rewarding. I am very active in my church. Do a low impact aerobic class 3x a week. Oh and snowmobile in the winter. I was looking for a yoga studio close to my home and the Elmhurst north studio fit the bill. Well I am now going to the Elmhurst south studio because I enjoy Cassie's class. So my favorite thing about this studio is NO stairs! What is your advice for someone coming to yoga for the very first time? Be patient with yourself and listen to your body. I feel it has helped me with balance both physically, emotionally and spiritually. Warrior two as I feel so many muscle groups are being used and make me aware of body alignment. What is your least favorite pose? Balance poses - but I know they are exactly what I need to work on. Tell us something unusual about yourself. Well I have 21 grandchildren and 4 great grandchildren ! Seeing as this is my 2nd marriage maybe this isn't so unusual. Caring, funny and a good listener. Potato chips, ice cream and cosmopolitans! Have you made any changes in your life as a result of your practice? I am trying to " stop and smell the roses" along my life journey. If you were to have a dinner party and could invite anyone you wanted who would they be? As always my family as they are the most important people in my life!